Yes, most definitely. Any sort of antenna will have rain fade. That includes TV antennas, satellite dishes, even cellular antennas. It’s a characteristic of radiation of any kind: it scatters and loses strength when bent around water drops. This is actually why rainy days are grey… it’s basically the visible light having rain fade! That doesn’t mean that TV antennas are just as subject to rain fade as satellite dishes. TV broadcasts always come from under 100 miles away and start as hundreds of thousands of watts, while satellite transmissions come from over 22,000 miles away and start as just a few watts. 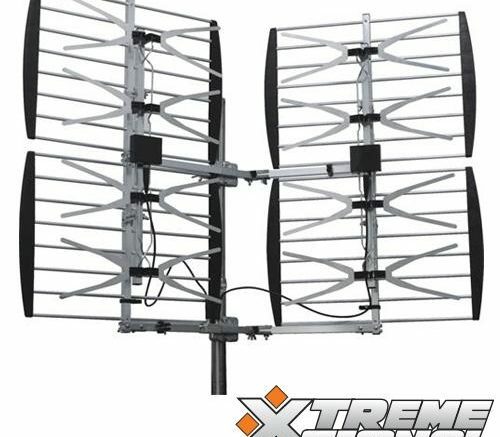 Satellite signals are broadcast at a higher frequency which certainly helps them get through to your home, but it’s obvious that TV signals really have an advantage here. That’s why you rarely hear about rain fade with “terrestrial” signals. That doesn’t mean it doesn’t happen, though. With enough of a storm, all broadcast signals will have trouble getting through. When thunderheads make daytime seem like nighttime, when light can barely make it through the clouds, you’re also going to have a harder time getting any sort of broadcast at all. In most cases this doesn’t happen very often. If you live in South Florida or anywhere else where strong thunderstorms are common, this could be an ongoing issue for you. Sometimes, a preamplifier will help in a situation like this, but that’s no guarantee. Your best bet is a larger antenna, placed higher up away from obstructions like trees and other homes. Of course, if you are putting a big chunk of metal up high because you’re worried about signal during thunderstorms, you also need to be worried about grounding. Check local ordinances and please please please ground that antenna properly! It’s super important that any piece of metal above your roofline be properly grounded. Trust me, it won’t matter whether or not you can get your favorite shows while the house is burning.